Metro Call-A-Ride operator Lamont Moore and Metro Public Safety Officer Gerald Abernathy were each awarded a 2015 American Red Cross Hero Award during a ceremony yesterday at the Chase Park Plaza Hotel. 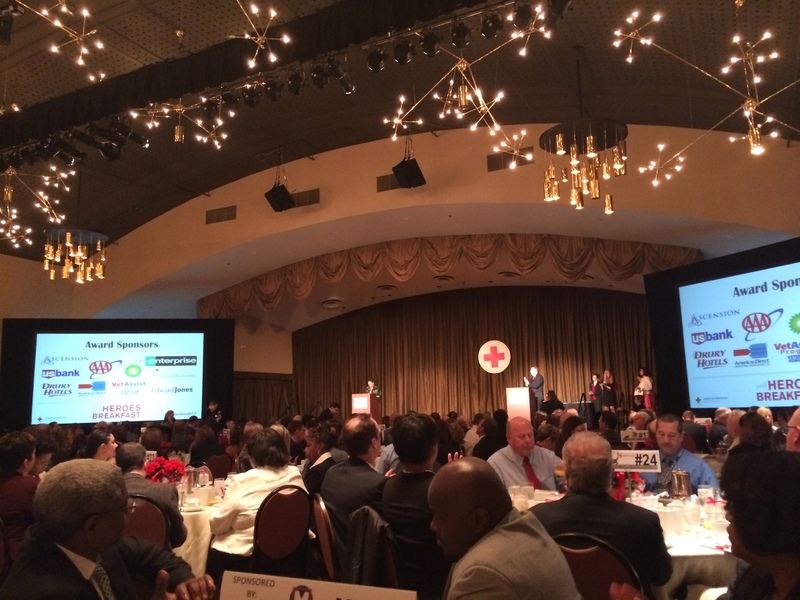 Every year, the American Red Cross Greater of Eastern Missouri honors individuals who respond heroically to someone in critical need. 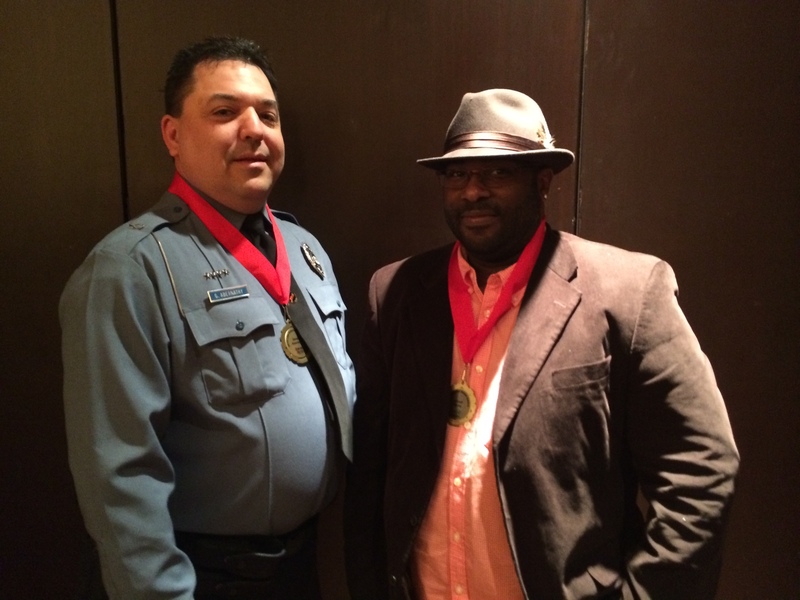 The event recognized remarkable people from across the St. Louis community who acted courageously. 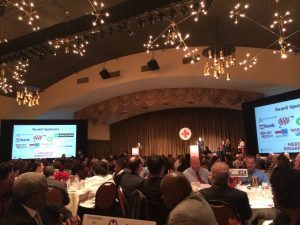 The Red Cross recognized individuals in 10 categories, including: Disaster Relief, Good Samaritan Adult/Youth, Firefighter, Law Enforcement, Blood Services, Community Impact, Military, Emergency Medical Assistance and Nurse. Moore, the recipient of the Heroes Disaster Relief Award, was on duty as a Metro Call-A-Ride operator in October last year. On his lunch break, Moore helped rescue a toddler and an adult from a second story window during an apartment fire. After the family was safely evacuated from the burning apartment, Moore went back to work. “Not only did he put himself in harm’s way for the sake of others, he did what was necessary to save innocent lives. Sometimes, we can be guilty of using the word ‘hero’ a little too freely, but I can think of no better word to describe Lamont Moore,” John Nations, President and CEO of the Bi-State Development Agency, said during a Board of Commissioners meeting last November. Metro Public Safety Officer Gerald Abernathy works for us as one of our K-9 handlers. His partner is Zeus, the drug sniffing dog. Abernathy is also employed as a Bella Villa police officer. He received the Heroes Law Enforcement Award for his quick action during what first appeared to be a routine traffic stop when he was on duty for the Bella Villa Police Department last September. Abernathy stopped a motorist who was speeding in south St. Louis County. He soon discovered the driver was rushing his father to the hospital. His father had suffered a heart attack and was unconscious. Abernathy pulled the 86-year-old man out of the car and started performing CPR. After a few minutes, Abernathy revived the man and was credited for saving his life. Congratulations to both Lamont and officer Abernathy for their heroic actions and quick thinking which saved the lives of three people. WOW, I was almost in tears reading about the heroic deeds done by these Metro employees! Actually, true love for our neighbors will require more than talk, it will require a sacrifice on our part. It really lifts my spirit to know there ARE employees willing to go above and beyond to help others in need! Now this makes me feel very proud to be a part of Metro!